Ana has been working in the Woodside area for over 30 years. She started working with Century 21 Frazer but has been working with Wagner and Kelly Real Esate since 1989. 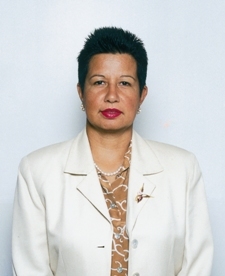 Ana was recognized as the Agent of the Decade in 2001 for her performance as the top producer in the office for 10 consecutive years. Since 1992 she has continually been Wagner & Kelly Real Estate’s top producer. Ana is a dedicated professional who can help you buy or sell real estate in the Queens area. She knows the “ins and outs” of any real estate transaction and has an impeccable record. Her honesty and trustworthiness has gained her the admiration of clients, peers, attorneys and mortgage consultants. Ana, who also speaks Spanish fluently, is married and the mother of four children and a grandmother of five grandkids. That is one of the reasons why she really understands the concerns of families. Families trust her to help them to achieve their dreams of owning their home. Her husband Lap also works with her as part of the office team and speaks Chinese fluently. Between them, they can service a wide range of customers. Ana also has many designations that show her commitment to better service her clients. She is a C.R.S or Certified Residential Specialist, C.B.R or Certified Buyer Representative, G.R.I or Graduated from the Real Estate Institute, e-Pro, C.I.P.S or Certified International Property Specialist and a C.C.R.S or Certified Commercial Real Estate Specialist.